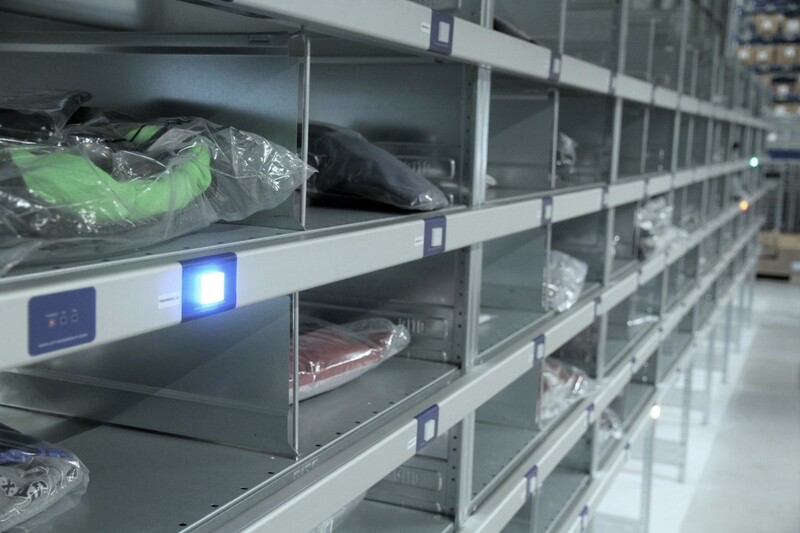 Sort to Light is especially suitable in situations where large quantities of items need to be distributed to a limited number of customers/stores. Common applications include a typical push type of operation, in which a large quantity of a single item coming from bulk storage or the receiving area is distributed between a limited amount of demand buckets. Alternatively, this concept can be combined with a moving batch approach and used for effective sorting, e.g. consolidation of batch-picked e-commerce orders. In the case of Sort to Light, a specific location is assigned to each customer or order. Once an item has been identified, e.g. by scanning the barcode, the Sort to Light module indicates how many of that item must be put in which location. The correct location is clearly indicated by the illuminated button and the number shown on the display. Each sorting action is confirmed by the operator pushing the illuminated button. Since this is immediately registered in the Inther LC warehouse management system, Sort to Light makes it possible to work with real-time inventory data.